Want to read the honest reviews of NEXAS NL102? Then you’ve landed on the right page. The hand-held reader can be used to Read /Clear codes,View live data in a text or graphics format for trucks. We provide two years warranty, so it is no risk to purchase it. 4 Who Is NEXAS NL102 Built For? Gone are the days when a mechanic would tell you about your car problems by just listening to the engine, thanks to the significant revolutions brought by the modern car scanners. 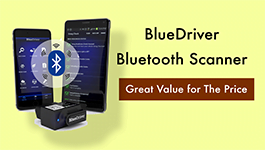 Many companies have come up with adorable designs of car scanners to help you quickly identify problems in your cars. Today’s vehicles contain sophisticated designs that require informed diagnostics to come up with the possible problems they have. 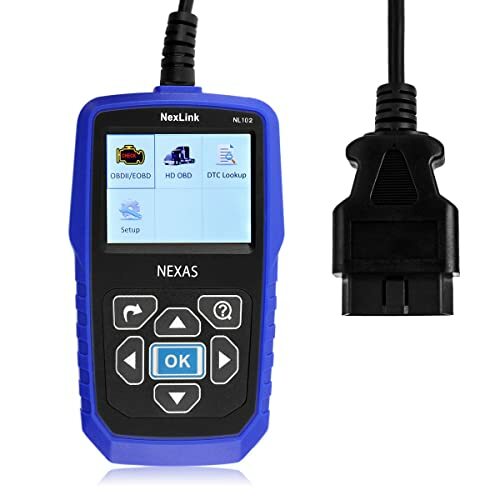 With the modern Heavy Duty Truck Scan Tool Nexas NL102, you will successfully figure out the critical problem of your car and acquire tips to correct them, without necessarily having to contact your mechanic. 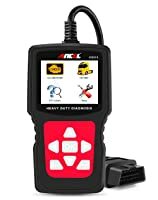 The heavy duty truck diagnostic scanner is compatible with all cars minivans and light-duty mini vehicles from 1996 onwards, American and Asian brands. The scanner will also support heavy trucks in compliance with J1587, J1959, and 17089.In addition, the scanner will also offer vehicle support to cars like the Deroi, Caterpillar, John Deere, Mack, Paccar, Mercedez Benz, Volvo, Scania, and many more. The scanner will display live graphics data stream, conduct a misfire check, leak check and many more. Besides, it can read and clear all pending and permanent codes as well as define the systems for you to quickly repair your car. It also comes with a lifetime online software update and displays DTC definitions. NEXAS NL102 is the hand-held reader can be used to Read /Clear codes. The scanner is compatible with multiple software. Thus it is a scanner that is good enough to identify and fix your car problems. Diagnosis problems in passenger cars (read and clear codes and offer you their solutions in light duty and minivan cars), along with engine check-up, read and display your vehicle identification codes, even turn the engine lights on and off. Comes with 9Pin, 6Pin, and OBD 16Pin diagnostic features. 2.6 TFT color screen: the excellent screen of the display makes it user-friendly, give the better view of your car problem areas and identified codes. DTC Definitions and multilingual menu, include the vast number of languages like Spanish, French, and English. Pros Easy to use interface. Has a battery health check feature. Easy to use. Displays code definitions. Good performance speed. Cons Not for trucks not comply with protocols J1708, J1939 and J1578 No wireless connections. It could be too expensive for some users. Bottom Line This NEXAS NL102 heavy-duty truck scan tool is easy to use and works perfectly for experience DIYers or enthusiasts. This ANCEL HD510 heavy-duty truck scan tool is best for use by both beginners and DIYers. This OTC3418 heavy-duty truck scan tool is suitable for use by professional technicians. Who Is NEXAS NL102 Built For? Heavy Duty Truck Scan Tool Nexas NL102 is great for use by average car owners to detect problems in their cars and solve them. Along as one is conversant with the code displayed, it becomes easy for them to read and repair their car problems, identified by the scanner. 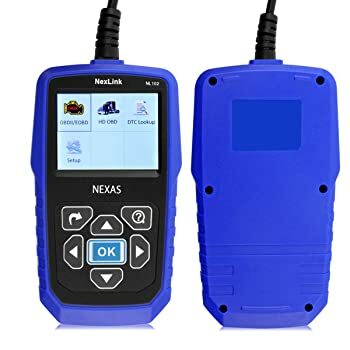 The Heavy Duty Truck Scan Tool Nexas NL102 has proved a great deal to many car owners thanks to is the ability to read codes and offer solutions to its users. It saves you the cost of purchasing a new scanner due to a fact that it serves you for a long time. The OBDLink SX Scan tool can quickly turn your PC or tablet into a handy diagnostics device in just a few simple steps. Read my review for more information about it. It is hardly surprising that few OBD scanners can live up to the performance of The Actron CP9690 OBD1 and 2 Scanner. Read the detailed review now! AUTOPHIX ES910 is a professional scanning device used for scanning different BMW/MINI/Roll-Royce car systems. What else it can offer? Check it out. Autophix OM126 car code reader helps diagnose engine errors in an attempt to clear them. Let’s see what else Autophix OM126 can do. Yes, Sure. It’s made to work on 12v and 24 v diesel trucks. The trucks it works on depends on where you are – in New Zealand it doesn’t work on any Isuzu trucks I have tried it on. Maybe the newer trucks have OBD2 and the Isuzu trucks in America as well – but in New Zealand we get the Japanese imports that have JOBD and scan tools made purely for obd2 are useless. You’re right Desmond. The current review is aimed for US-market vehicles only. 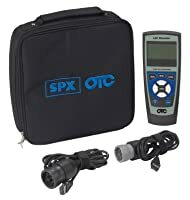 Hi friend,what would be a good scanning tool for my 17`f 250 6.7 diesel,a check engine light come up but everything looks okay and smooth.With so many sensors on this truck I am gonna need one. Thanks a lot!